Located in a tucked away location within Cottesmore Green, Broadfield this property benefits from a 32' feature rear garden and one allocated parking space. 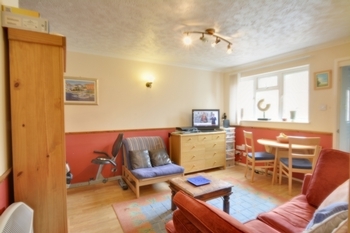 The property is located close to the No 10 Bus route and benefits from direct access to Buchan Country Park. 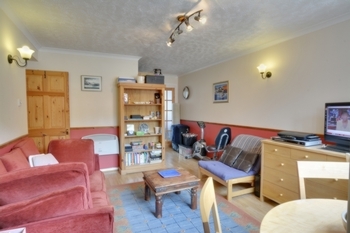 The accommodation in brief comprises to the ground floor; Entrance porch, re-fitted kitchen, open plan lounge/diner, master bedroom and bathroom. The front door leads into the entrance porch with space for coats and shoes and door opening into the open plan lounge/diner with door to kitchen and inner entrance hall. The 18'5"x 11'8" lounge/diner could comfortably hold a dining table and still gives ample space for sofas and further free standing furniture. The lounge/diner provides access to the re-fitted kitchen which offers an extensive range of fitted white base and eye level units with work surfaces. There are some built in appliances such an electric hob and oven, further space is provided for a washing machine and tumble dryer which are included within the sale and other white goods. 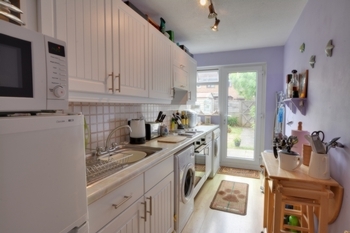 A door to the rear of the kitchen provides direct access into the rear garden. The inner hallway provides access to the master bedroom and bathroom. 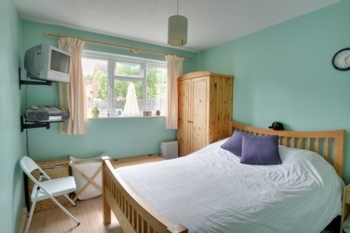 Within the master bedroom there is space for a king-size bed, built in double wardrobes and additional floor space for free standing bedroom furniture with window overlooking the rear garden. 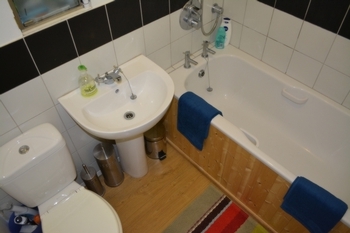 The bathroom is fitted with a three piece white suite and offers a power shower over the bath, a sink and WC. 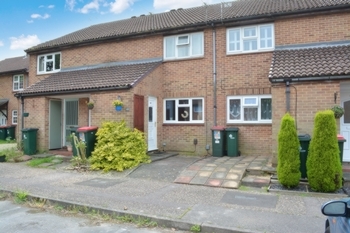 Outside there is a 32' generous rear garden which is laid to lawn with a rear access gate. Within the garden there is a metal apex storage shed. 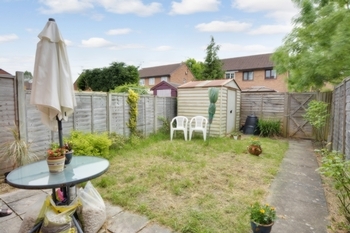 The garden is enclosed with panelled fencing which provides a good degree of privacy. To the front of the property there is small shingled area with mature shrubs. An outside storage / bin cupboard and one allocated parking space. The property will be available from begining of August.